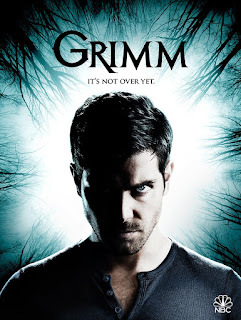 Nick (David Giuntoli), Hank (Russell Hornsby) and Wu (Reggie Lee) investigate a terrifying new Wesen who terrorizes a young family and has a surprising motive. Capt. Renard (Sasha Roiz) is reeling after an unexpected guest appears. Meanwhile, Diana (guest star Hannah R. Loyd) has some interesting news for Monroe (Silas Weir Mitchell) and Rosalee (Bree Turner). Elsewhere, Eve (Bitsie Tulloch) returns to the catacombs beneath Nick's loft to search for answers to her bizarre visions and side effects from being healed by the mysterious stick.